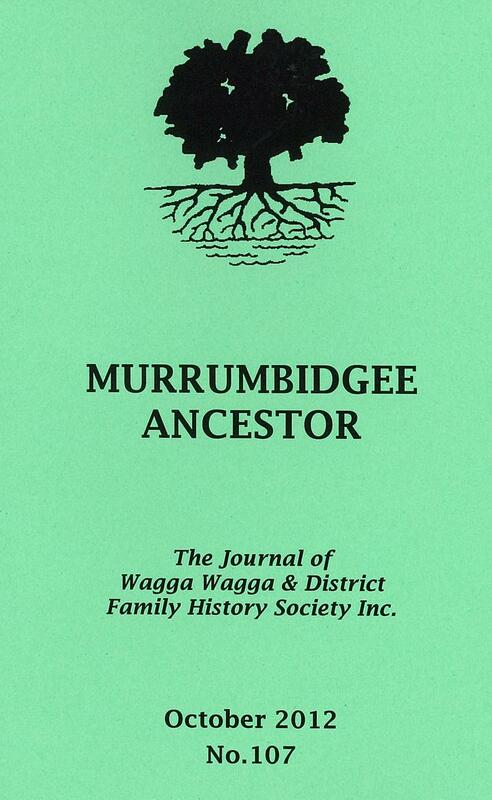 The Murrumbidgee Ancestor is the journal of the Wagga Wagga and District Family History Society. 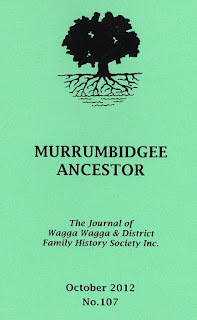 The journal contains research articles about such diverse subjects as Wagga's Jewish families in the mid-Twentieth century (by Ruth Barnett), Alfred Edward Jelly- a newspaper trail ( a story about a man injured while working on the paddle steamers at Wagga) by Barry Williams ; local war or criminal identities, requests for information and much more. The local studies collection also has the monthly newsletter of the society. The journal and the newsletters may be of use to you in your local or family research - come into the library to view these useful items which are available for use within the library.